Archway Beauty, under Aylesbury's county court building, manages to be both cool and quirky. Is Muddy a fan? Guilty as charged! 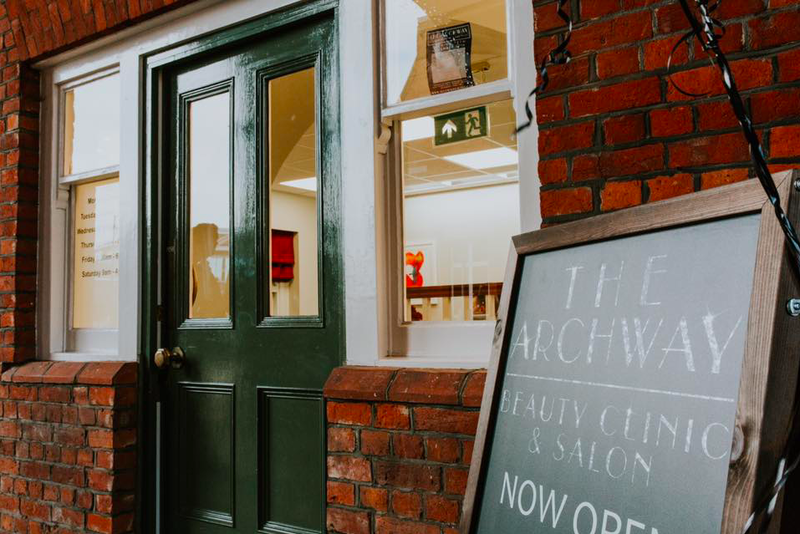 The entrance to Archway Beauty Clinic and Salon is under the 19th century red brick archway of Aylesbury’s county buildings so a bit blink-and-miss-it, even more so at the moment as it’s been under scaffolding for some time. If you do pause to peer in the window you’ll be pleased you did – it’s a very cool addition to the town, and just round the corner from the massive shopping/apartment/restaurant development that hopes to lift the area. Professional, quirkily cool, stylish in a slightly blingy way. You go down a small flight of stairs to get to the salon, and basically where you’re stepping is into the old jail underneath the county courtrooms. 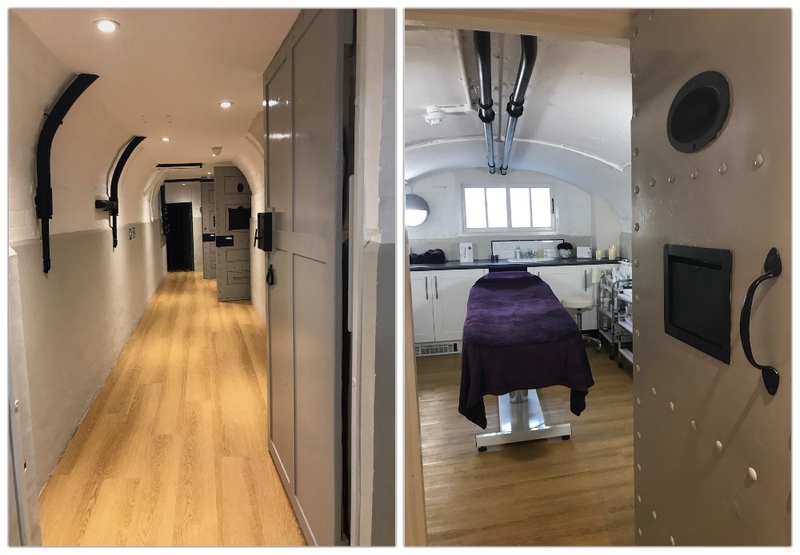 The design makes full use of this history – the treatment rooms are the old cells complete with their heavy doors (look for Ronnie Biggs’ scratched signature on one of them). 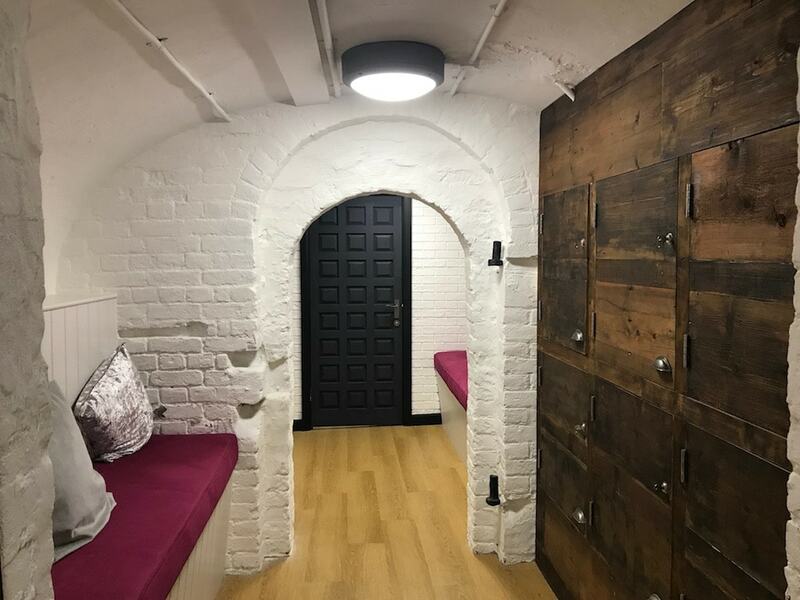 Very small if you’re forced to stay overnight in one so I wouldn’t recommend bank robbery, but for a treatment they’re surprisingly spacious. 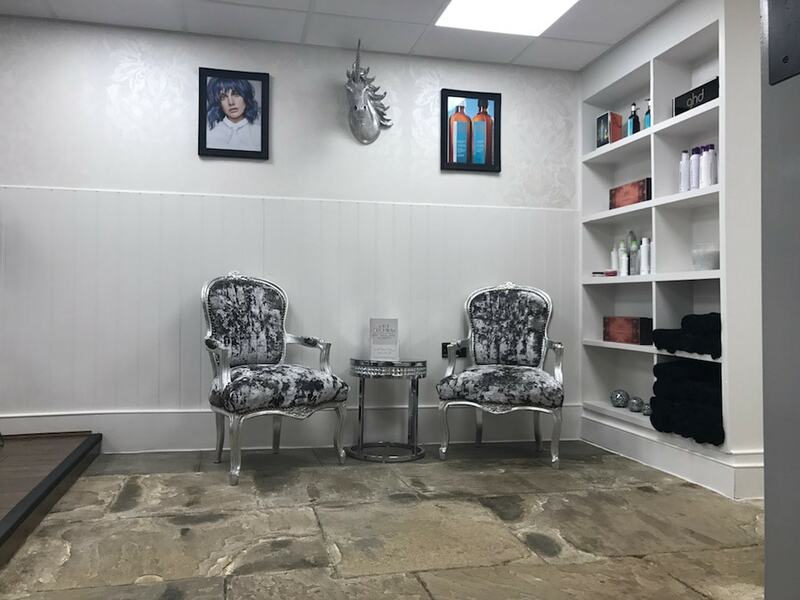 I absolutely loved the look and feel of this place – there’s been a lot of thought put into relaxation areas as well as the treatment rooms, and apart from the occasional lapse into salon cliche styling (the fake rococo mirrors and chairs, the sparkly unicorn head on the wall), it’s been a vision well executed. Frankly it’s fun to go somewhere that hits the Muddy quirky button. 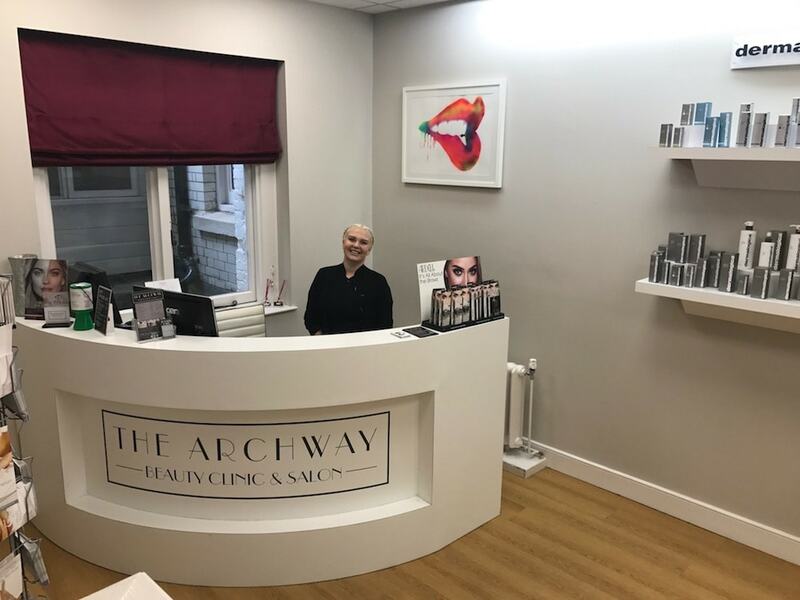 Archway Beauty offers the usuals of waxing, massage, eye brow this and that, plus what it calls more ‘advanced’ treatments like fillers, contouring, lip and cheek enhancement (wah, scary!) in 4 treatment rooms. It’s Dermologica all the way baby at this salon, one of my favourite brands. 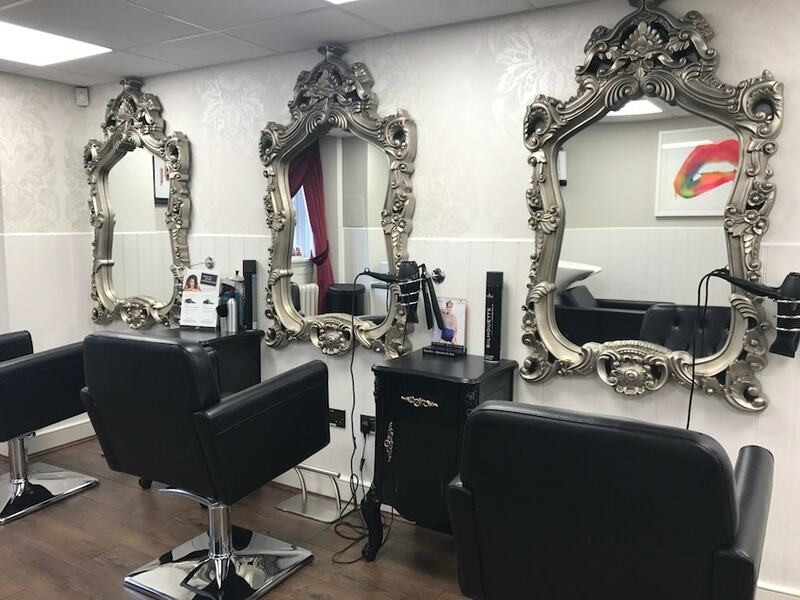 They also offer a separate hair salon area here, with 3 stations. 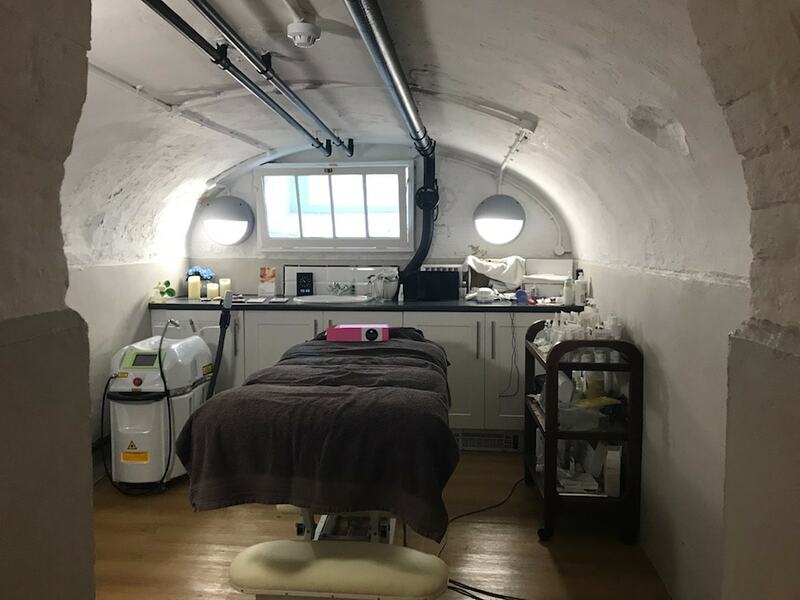 Bizarrely massage doesn’t feature on the website – surely some weird oversight – but they definitely occur because I was led into a rather luxily appointed ‘cell’ and had one! 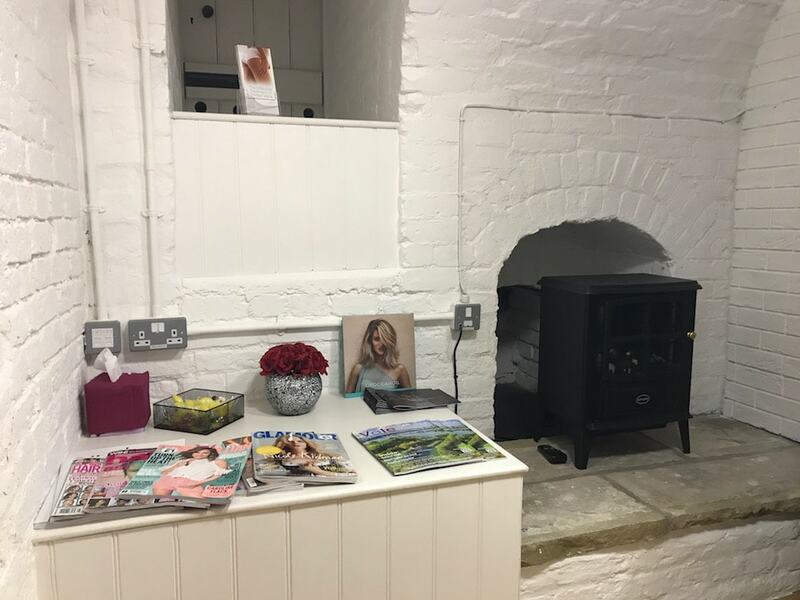 A young, confident therapist who hit the sweet spot with the pressure, and made me wish that for once I managed to make an appointment on time – I only managed half of my hour-long treatment. 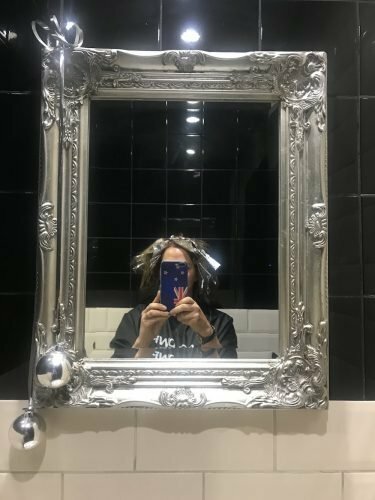 Aylesbury – the Buckinghamshire Cotswolds? Er, nope! But if you happen to be in the town to go to the excellent Waterside Theatre, or dropping kids at The Odeon (just around the corner) or Aqua Vale, or popping in for some practical shopping, that’s when Archway Beauty will be superuseful. Good value I’d say. Massages are £25 for 30 minutes, £30 for 45 minutes and £50 for an hour. 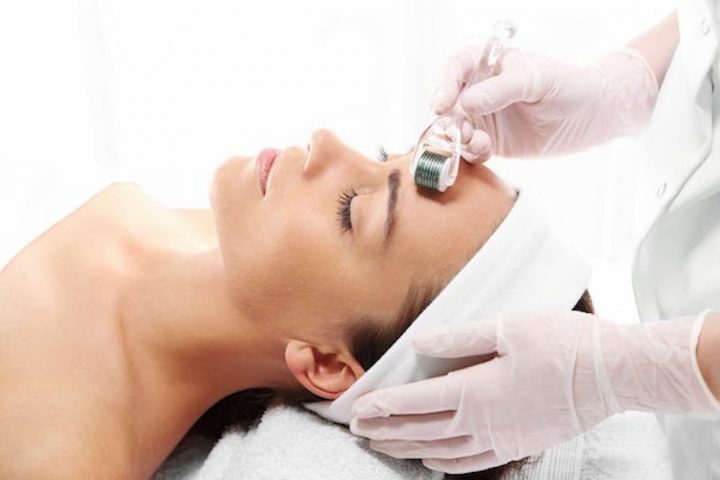 Eyelash tints £15, full leg wax incl bikini line £35; body contouring £175-260. Wow what a plus for Aylesbury…..The place looks fabulous and it shows a lot of thought has gone into the decor. I just love that part of old Aylesbury has been blended with the new. 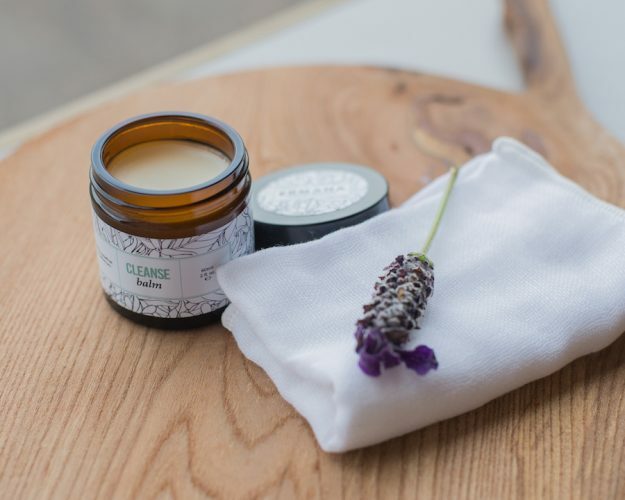 Love their choice of products used and I’m sure when I visit Aylesbury I will treat myself to a bit of pampering. Wishing you luck in this new and exciting business.